Earlier this week we learned that Amazon was planning to launch three new tablets this year, including a budget 6" model and 8" and 10" models. One of the three tablets went through the FCC late last month, and now two more tablets have shown up. Amazon has embargoed all the most interesting details like the photos, but the test paperwork reveals a few details. It describes the two new devices as tablets with Wifi, Bluetooth, and microSD card slots. Yes, Amazon is breaking with 6 years worth of tradition. Amazon dropped card slots with the second Kindle when it shipped in 2009, and stuck with that design principle through four years of Fire tablets (and the Fire Phone), but now they're going to add a card slot to the new Fire tablets. 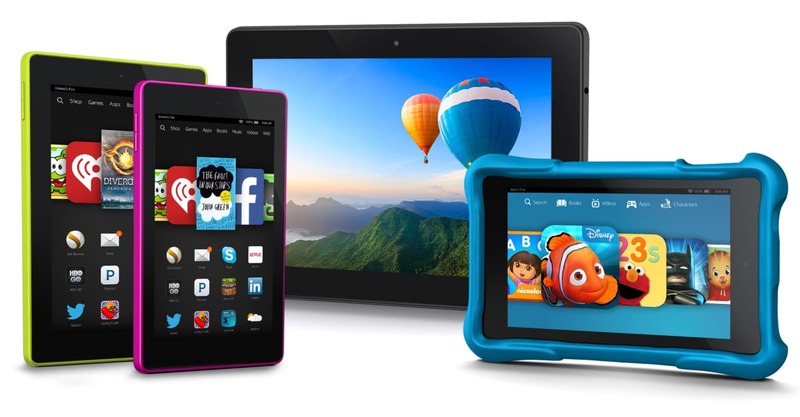 Of course, that is based on the assumption that these three tablets belong to Amazon, but that is a safe assumption. The alternative would be that there are two or more companies that share this particular obsession for secrecy, and that is not very likely. I can not believe a Kindle with SD Card slot when Amazon sell cloud storage but… hopefully! What about the kindle 12 inch… I’d understand a Kindle ereader, big screen with sd slot to your owns pdfs. Any idea when these will come up for pre-order, Nate? I’m not really sure if I want a new tablet but an SD card slot would convince me to purchase one. Less than two months. I’m betting on September, but they will launch by the end of October. TY, Nate. I read somewhere the new Fire TV should have an SD card slot. I’m not sure if that’s advantageous but we shall see. That’s what I saw in the paperwork. Hopefully Amazon is about to surprise everyone. With the addition of Amazon Underground they may come out with a Google system device and not a locked down device. Since many paid apps would be available for free through the Underground they would compete well with Google Play. It is the one barrier to selling devices that they face…customers don’t want to be limited. At the very least it seems like they finally get it about storage(for tablets…and hopefully e readers). It would actually make a lot of sense for the two companies to partner. Google doesn’t sell a lot of digital content in Google Play, and they don’t really want to either. But Amazon wants to sell content, and doesn’t care about the hardware so much. it’s not a perfect partnership but it could be a lot better than the two companies fighting.